Eric Harris is a floor technician for Guardian Pharmacy of Orlando. In addition to being handy around the pharmacy completing repairs and maintenance, Eric spends his free time volunteering with Habitat for Humanity. 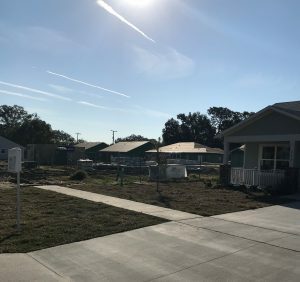 Eric was recently involved in building four new homes for deserving families in the Orlando-area. We are proud of our Guardian Orlando team and people like Eric for going above and beyond in our community to help those in need.